I'm behind in my Noir Alley viewing. 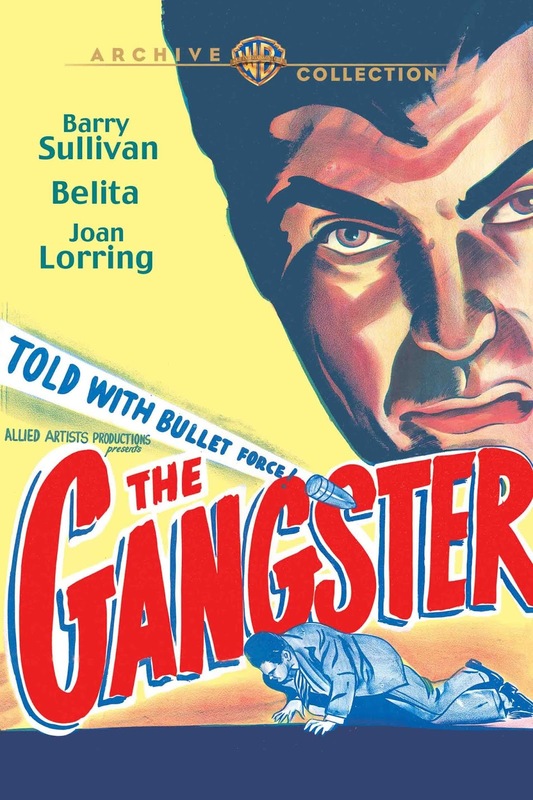 That work trip put a dent in my velocity, and I didn't finish watching The Gangster (1947) - which I'd started at the beginning of the month - until the 23rd. Similarly, The Gangster felt to me in discussion as if the film is *still* getting hashed over, and I think with good reason. Another King Bros. production - this one with a reasonable budget and big aspirations - it seems to work more like a series of vignettes in a near mythical Boardwalk strip, something that looks like artifice, near hyper reality - something set designer-turned-director Gordon Wiles has to be 100% perfectly aware, even as the producers spun it as "looks great on the cheap" and, I suspect, many a modern viewer will think is a failure. I'm gonna beg to differ. This movie is a visual feast, and - I'll argue - is a singular vision. Every shot in this movie seems intricately designed, each placement of each character in lighting, against geometric shapes, the fall of shadows and rain against windows a silhouette over actors. Costumes, wall-hangings, everything has something to say. So, if the world beyond our immediate practical set is clearly a painting and cardboard - what does it say about what's happening to our lead - the titular gangster? 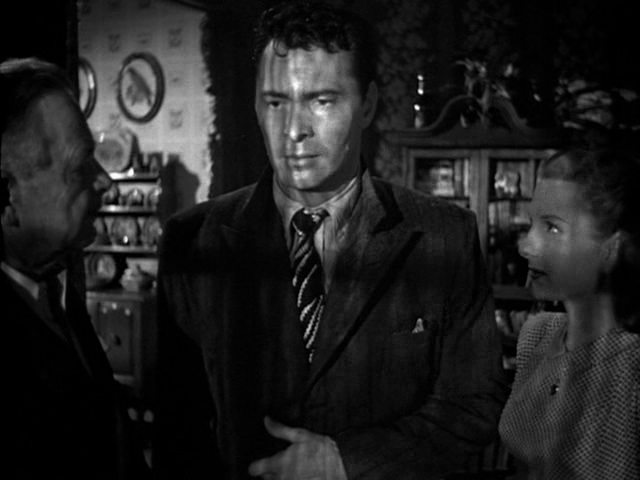 Barry Sullivan is one of those faces you recognize from mid-century movies but can't always place. Tall, brooding but with range, as "Shubunka" the racketeer Sullivan manages to capture the menace of the man as well as the hollow shell and angry, scared little boy that built up the defenses that led to his current life. And, I'll note - screenwriter Daniel Fuchs, who adapted his own prose work for the movie, doesn't just give a few throw-away lines about being a tough kid. There's a living, breathing social accident that made Shubunka - and at the core of the movie, that's the real story. He wants to be a good guy, in his way, but every lesson he learned was about putting your fists up and taking what you need. There's a bit of the "slice-of-life"/ Time of Your Life storytelling lifted from the stage as each character has an arc, an angle on Boardwalk-life loserdom that brings them into the swirl of action as Shubunka's world falls apart. I haven't said anything yet about Shubunka's love interest, Nancy Starr, played her by the monomynous Belita, a former figure skater who someone decided to make into an actor. She is, honestly, very, very pretty, but... it's sort of amazing she made it through screen tests and in front of the camera. Everyone else is spinning this world all around her and she's delivering her lines like she's surprised she's in a movie. 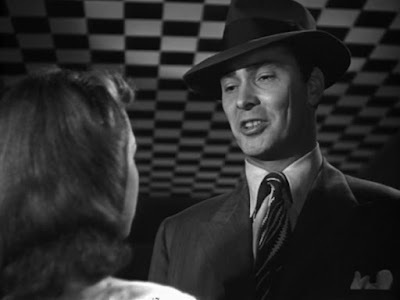 Still - the vapid actress bit plays well against Shubunka's controlling paranoia, and she's given a great bit of dialog in the third reel where she lets him have it about what he did and why she's giving him the heave-ho (and worse). The script is dark as blackest night, and while it's got "doom" written all over it from the beginning, it isn't one of those movies where you kinda hate everyone and can't figure out why the movie-makers thought you'd care about seeing them destroyed over 90-120 minutes. 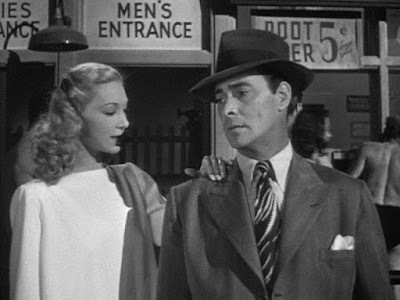 Instead, you're kinda pulling for everyone, and there's a bit of deconstruction to the gangster stereotypes of films as well as that pre-1950 theatrical exploration of character that raises its head in film from time to time. Anyhoo... I dug the heck out of the movie and will gladly watch it again.